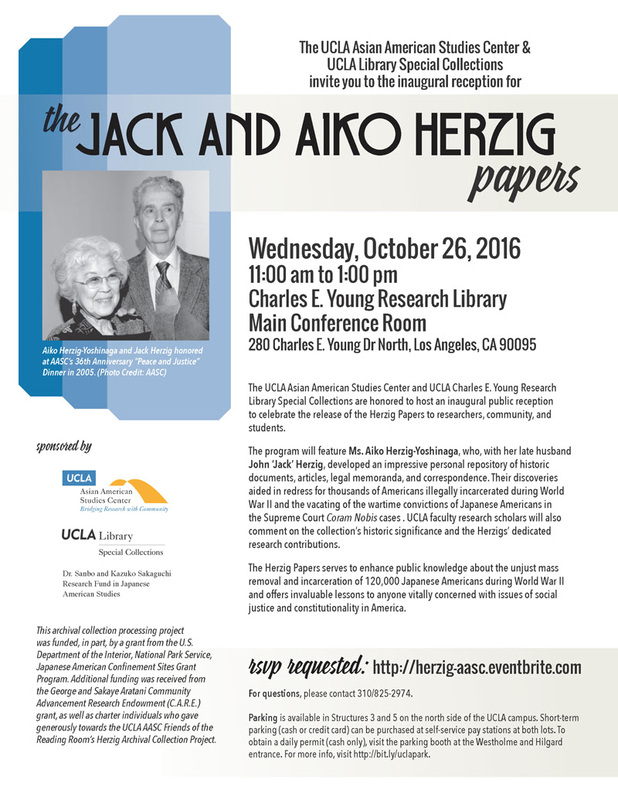 LOS ANGELES (Oct. 21, 2016) — The UCLA Asian American Studies Center and UCLA Charles E. Young Research Library Special Collections will host an inaugural reception to celebrate the release of the Jack and Aiko Herzig Papers to researchers, community, and students from 11 a.m. to 1 p.m. Wednesday, Oct. 26, 2016 in the Main Conference Room of the Charles E. Young Research Library, 280 Charles E. Young North, Los Angeles, CA 90095. The program will feature Ms. Aiko Herzig-Yoshinaga, who, with her late husband John “Jack” Herzig, developed an impressive personal repository of historic documents, articles, legal memoranda, and correspondence. Their discoveries aided in redress for thousands of Americans illegally incarcerated during World War II and the vacating of the wartime convictions of Japanese Americans from the Supreme Court Coram Nobis cases . UCLA faculty research scholars will also comment on the collection’s historic significance and the Herzigs’ dedicated research contributions. 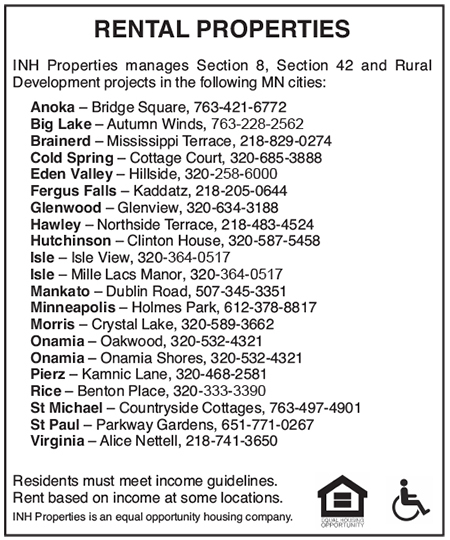 An RSVP is requested and can be done online. The event is sponsored by UCLA Asian American Studies Center, UCLA Library Special Collections, and the Dr. Sanbo and Kazuko Sakaguchi Research Fund in Japanese American Studies. This archival collection processing project was funded, in part, by a grant from the U.S. Department of the Interior, National Park Service, Japanese American Confinement Sites Grant Program. 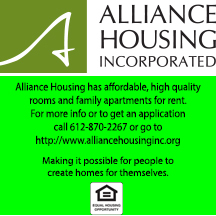 Additional funding was received from the George and Sakaye Aratani Community Advancement Research Endowment (C.A.R.E.) grant, as well as charter individuals who gave generously towards the UCLA AASC Friends of the Reading Room’s Herzig Archival Collection Project.